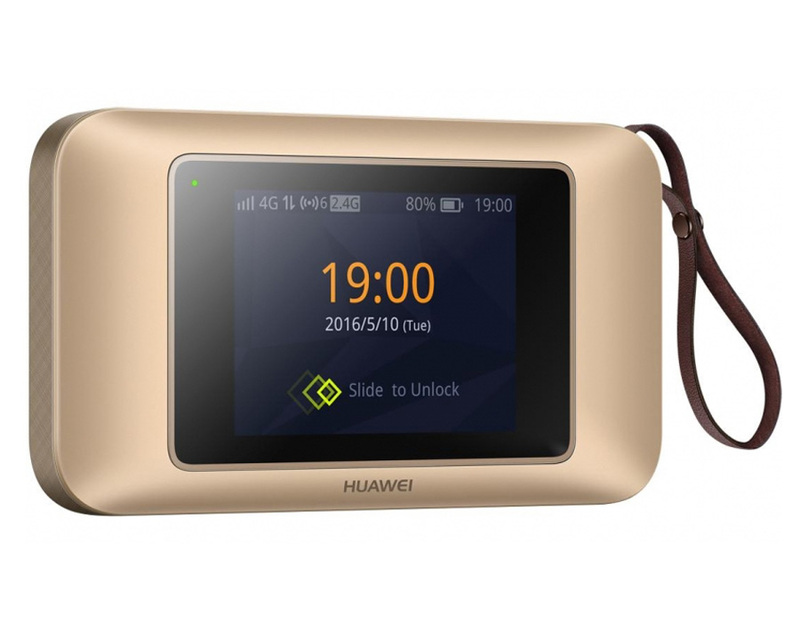 A few weeks ago, a new mobile LTE router from Huawei is available, the model name is Huawei E5787 Mobile WiFi Touch, which is the direct successor of the popular Huawei E5786 from the year 2014 and it’s the first Huawei hotspot with touchscreen operation. The E5787 Mobile WiFi Router provides LTE Cat6 with speeds of up to 300 Mbit/s in the downlink and up to 50 Mbit/s in the uplink. Unfortunately, the Huawei E5787 has been only available in Saudi Arabia now, but we suppose it would be available in other areas. Technically, there is no big surprise in the Huawei E5787. The modem comes from Huawei subsidiary HiSilicon and supports LTE Category 6 with up to 300 MBit/s in the downlink and up to 50 Mbit/s in the uplink. The strong battery is 3,000 mAh and makes Huawei E5787 for an operating time of up to 12 hours. At the side of the unit, there is a USB port for charging the E5787 and for use to work as a wired modem. In addition, there are two connections for an external LTE antenna. 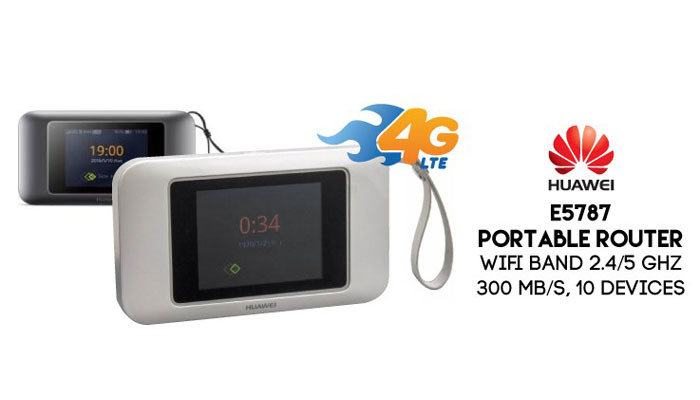 The WiFi connection to devices such as laptops or tablets is via Dual Band WLAN ac (2.4 GHz and 5 GHz). The operation of Huawei E5787 is carried out via a touchscreen for the first time at a Huawei Hotspot. The display is 2.4 inches in size and occupies a large part of the front. The software seems to run fast and fluent. Basically, the mobile LTE hotspot with touchscreen is nothing new, Netgear has offered some devices with touchscreen in the models AirCard 790 and AirCard 810. As the predecessor of the Huawei E5787, Huawei E5786 is still the best available model from Huawei. 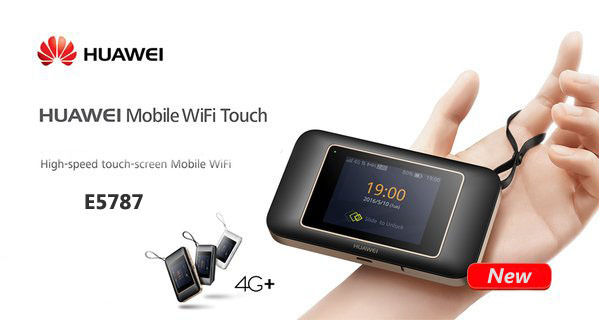 Although Huawei E5786 MiFi now is already more than 2 years old (our test from the year 2014), it has almost the same features as the E5787 technically; the biggest difference is actually the touchscreen. In the LTE speed and the WLAN, both devices are identical. Some improvements can be found at E5787 in detail: the battery is now removable and it can use not only normal Micro SIM cards with appropriate adapter but also nano SIM cards. Also, the Cortex A9 used processor is faster. Presumably, the new processor is necessary primarily due to the power-hungry displays and the more complex operating system. 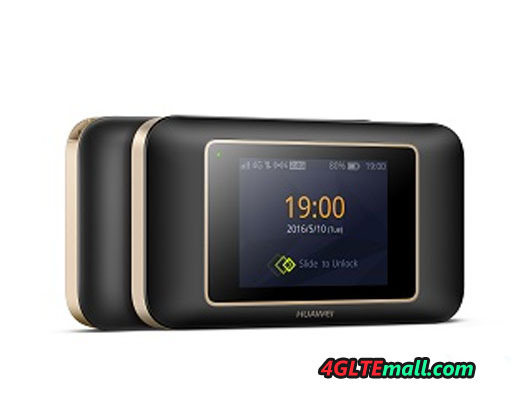 Overall, the Huawei E5787 MiFi is certainly the better choice comparely, but the huawei E5786 is still a very good hotspot.